Long French curtain pastel yellow linen made . 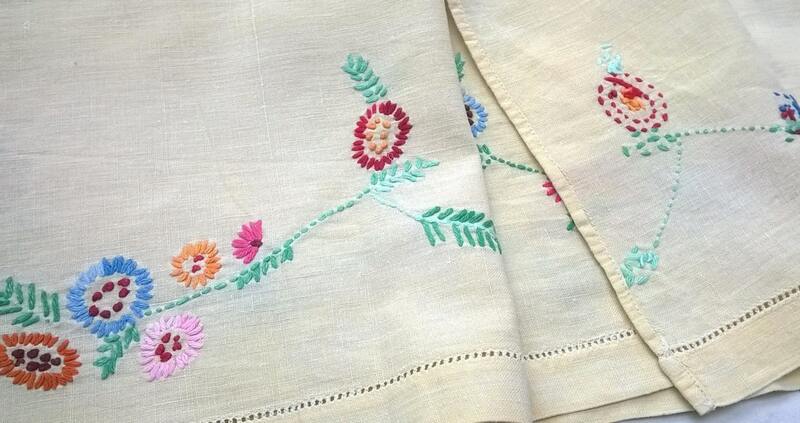 Long valance or runner.Floral hand embroideries and openwork trimmed. Used to be set above the fire place where we were cooking or along shelf borders. Hand made early 1900's. Good Vintage condition for a more than 100's fabric with small spots on the edge. 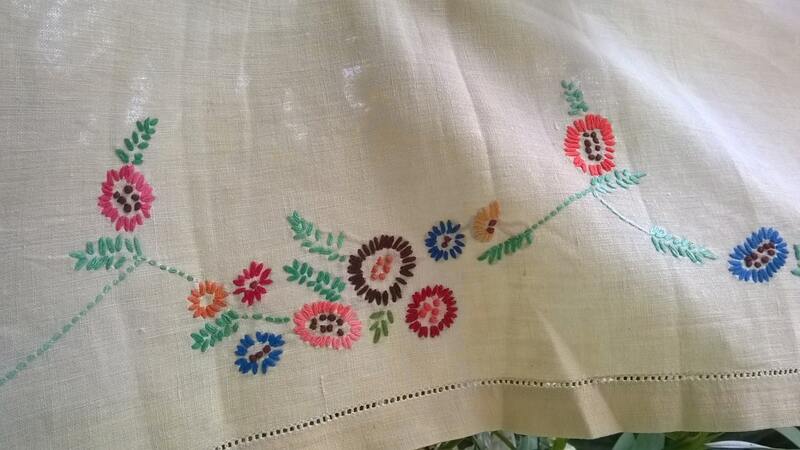 Very original antique curtain for window, shelf, kitchen , Café Home Decor or to use as a long runner!